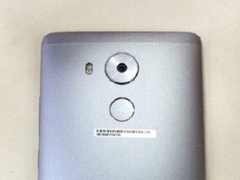 The alleged Mate 8 appears to be taking many design cues from the Mate S.
More images of the upcoming Mate 7 successor have supposedly leaked online. Unlike the previously leaked images, these new ones show the rear camera with a circular design instead of a square perimeter. Additionally, the LED Flash and fingerprint scanner can both be seen. The latest rumors point to at least three different SKUs for the Mate 8, which may explain the design discrepancies between the previously leaked images and these newer ones. 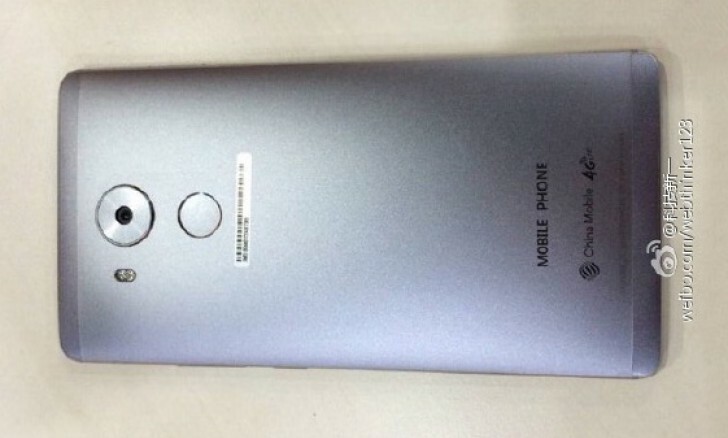 Two of the models may be equipped with FHD displays at 5.5 inches and 5.7 inches. The final model may be as large as 6.2 inches with QHD resolution (2560 x 1440). The main cameras may be identical between all models at 16 MP and the new Kirin 950 SoC is expected be used across all sizes as well. RAM should range from 3 GB up to 4 GB and storage space up to 128 GB depending on the configuration. Android 6.0 Marshmallow should come pre-installed. The Mate 8 is expected to be revealed come November 26, though Huawei has been silent about any official announcements regarding the still hypothetical device. The recent Mate 7 scored very well in our tests and the Mate S scored even better.